Owning multiple digital devices these days makes it really difficult to remember login details associated with each one, particularly passwords. In latest Windows 10 you cannot use the OS without entering admin password first. Even in Windows 8/8.1/7/XP for safety reasons it’s recommended to setup system password to prevent unauthorized access. Remembering login details of phones, PCs and tablets can be a daunting task, but there is a way of recovering and using Windows 10/8/8.1/7/XP desktops/laptops even if you forgot or lost login password with SmartKey Windows Password Recovery Standard utility, as we will show you in step-by-step guide below in this post. Forgot PC Windows & laptop password and find yourself stuck unable to use Windows PC? well, now there is an easy fix for it. Say goodbye to lost/stolen/forgotten Windows login passwords because with SmartKey Windows Password Recovery tool for Windows PC/laptops you can bypass login restriction and can use PC once again by deleting or renewing login details & passwords. 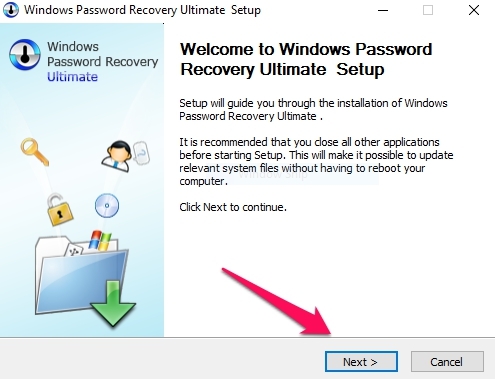 Process of recovering or resetting Windows login password is easy as explained in the guide below. First make sure that you have access to a spare Windows PC/laptop other than the one whose password you want to recover. 1 – Download SmartKey Windows Password Recovery software here. 2 – Click downloaded installer file to open setup wizard. 3 – Hit next button to start installation. 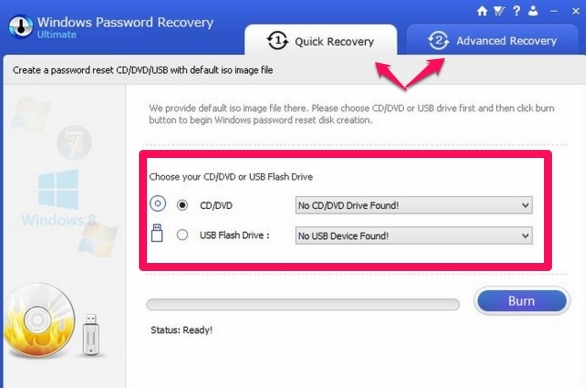 4 – On SmartKey Windows Password Recovery home window there are two option: Quick Recovery and Advanced Recovery. It’s better to select Advanced Recovery option. 5 – When you choose Advanced Recovery option, the software will ask you to enter the Windows OS version and a few other basic specifications of the PC whose password you are trying to recover. 6 – Next to create bootable USB or CD/DVD with iso image file under Quick or Advanced recovery tab, check the box next to USB flash drive or CD/DVD option and click Burn button. Note: All existing data on USB/CD/DVD will be erased for creating bootable device. So, use clean device or backup data beforehand. Click yes on warning window. 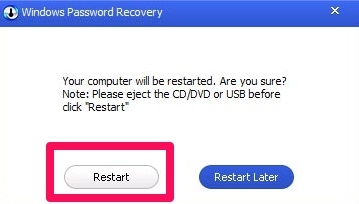 7 – In a few minutes SmartKey Windows Password Recovery will create bootable USB or CD/DVD from which you can load iso image file on PC whose login password you lost. 8 – Connect bootable USB flash drive to the PC whose password you are recovering or slot in CD/DVD and boot PC from that USB/CD/DVD and select the boot device from the boot menu list. 9 – This will take you to SmartKey Windows Password Recovery Window from where you can remove Windows password, change Windows password, remove or create a new admin account on PC/laptop. Check the desired option box and hit the next button. 10 – If you selected change Windows password option in the last step then a new Window prompting you enter new Windows password will appear on the screen. 11 – Type new Windows password which will replace the old forgotten/lost password and can be used from hereon to log into the Windows PC/laptop. 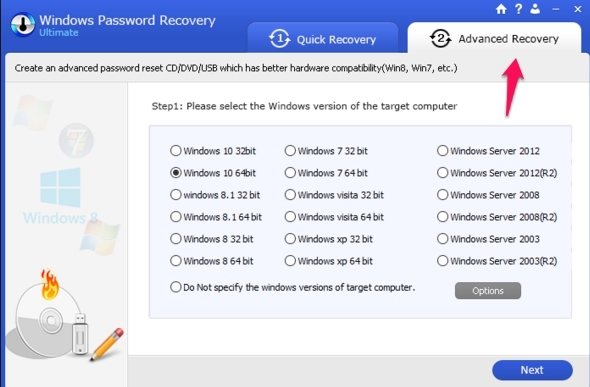 It easy as pie to recover lost Windows password with SmartKey Windows Password Recovery software. Basic version comes with free trial period at the end of which you will be asked to upgrade to the paid full version. Home users can use free version to unlock PC/laptops until the trail period expires. But in business settings, users are better off purchasing licensed version that comes with plenty more features including simultaneous recovering of lost passwords on multiple Windows 10/8/8.1/7/XP machines at work.